Sony have announced that their new RX0 action cam won't just compress the the image quality of the Sony RX series into a more robust and ultra-compact form-facotr, it'll also be coming to Australian customers sooner rather than later. 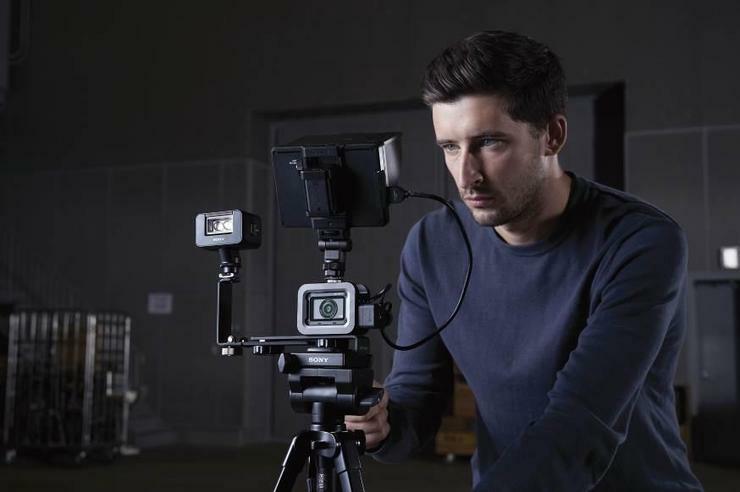 According to them, "RX0 is equally adept at shooting still images, filming video or can be used as part of a multi-camera set-up to create an inspiring series of images, videos and super slow motion footage from a multitude of different perspectives. Its miniature dimensions and all-around versatility maximise freedom to tackle photographic and videographic challenges in new ways, always with the assurance of high quality results." The new camera is packed full of advanced Sony tech, including a 1.0-type stacked 15.3-megapixel Exmor RS CMOS image sensor, BIONZ X processor and wide-angle ZEISS Tessar T 24mm F4 fixed lens. It also boasts an anti-distortion shutter capable of to 1/32000 a second. Built to take a hit, the RX0 is also waterproof at depth of up to 10 meters, shock-proof against drops of up to 2 meters and crush-proof up to 200kgf. In order to help customers get the most out of the camera, Sony are readying a suite of accessories to go with it. The VCT-CGR1 Cage offers increased system flexibility and the MPK-HSR1 Housing enables the camera to operate in depths of up to 100 meters below the surface. There's also the CPT-R1 cable protector, VF-SPR1 Spare Lens Protector, VGA-305R1 Filter Adapter Kit, NP-BJ1 Rechargeable Battery Pack and ACC-TRDCJ Accessory Kit. The new Sony RX0 will be available from early October 2017 for a recommended retail price of AUD $1049. The full range of accessories for will become available from around the same time, with local pricing still TBC.